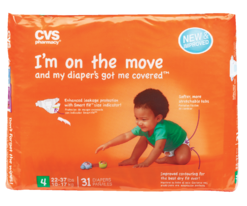 CVS is still releasing good coupons, right now you can score a coupon for $4 off CVS brand Diapers, just enter your ExtraCare Card number to get your coupon via email. This entry was posted in CVS and tagged coupon, CVS by AustinCouponing.com. Bookmark the permalink.